A battle of epic proportions. 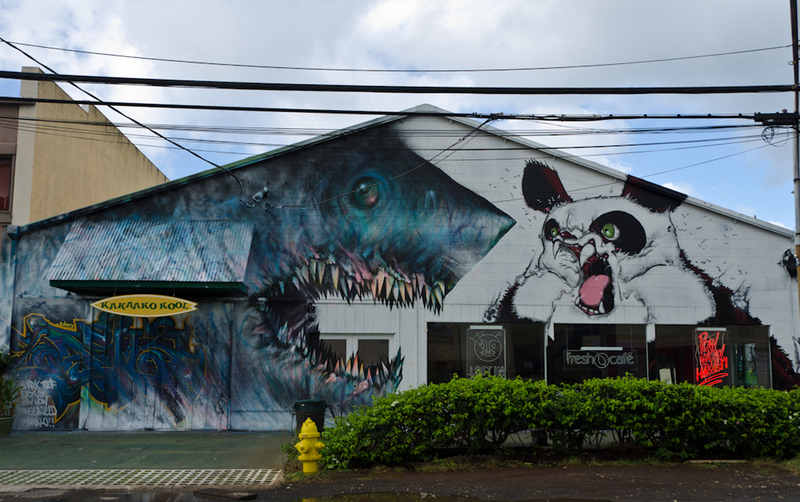 Shark Toof and Angry Woebots paints the age old rivalry of sharks and pandas. What is there not to like? The mural is located on the front of Fresh Cafe at 831 Queen street.